I have tried to confine this article with some bullet-ed points which I find it simpler to organize content of this article. Ismailis believe that in order to seek forgiveness from Allah they need to ask forgiveness through Hazar Imam since he prepossess the noor of Allah. They ask for forgiveness after dua everyday in their daily prayers. Who can forgive our sins except Allah ? Please refer to this previous article here on this topic. Hazar Imam is not above Allah so it makes sense for me to worship directly to Him than through Hazar Imam. On the day of Chandrat/Baitul khyal there are special tables arranged for taking mehmanis for muskil asani and for ease of deceased souls. Mushkil asani dua is 6$ per person. This was the rate in 2007 in Phonix Arizona Jamatkhana and I was the one who payed 12 $ for Muskhil Asani for my alive Parents. I still laugh at this incident when I recall it sometimes that I was seeking Mushkil asani from a man who himself has to go to court to settle his own issues. Also please refer to below hadith where the prophet of Allah (PBUH) says to Ibn Abbas to seek help from Allah Alone. It is quite common if you ask any Ismaili that is there any preaching of Quran inside the Jamatkhanas….Surely the answer is No. And you may sometimes hear from some Ismailis that we don’t need to read the Quran, our Imam is Talking Quran (Boltu Quran). Astagfirllah. I myself have heard this sentence from an Ismaili. It is well understood by those who were Ismailis one time and have read the Quran and through Allahs guidance they could easily distinguish between the preaching of Ismailism vs the Word of Allah Subhanwatala. The thing that surprised me most is that when the Hazar Imam even acknowledged in front of the entire world that Quran is the literal word of Allah and there can be no other place to take guidance other than Quran itself, but the Imam himself has failed to convey the same message to his followers. May Allah guide each one of us to read his book and make connection with Him through five daily prayers and implement His book in our daily lives. Aameen. Ismaili are only allowed to read books which are approved by Ismaili Institutions and are sold in Jamatkhanas itself. All the books sold in Jamatkhanas or approved by Ismaili Institutions are Imamat centric and lack the true Preachings of Quran and Sunnah of Rasul SAW. Islam says you have to pay 2.5 percent of Zakat to the poor and needy person. But Ismailis have a zakat which they call it dashond with an inflated rate of 12.5 percent which you only have to give it in the Jamatkhana. This dashond is collected and goes directly to the Hazar Imam. Imam is the sole owner of dashond. 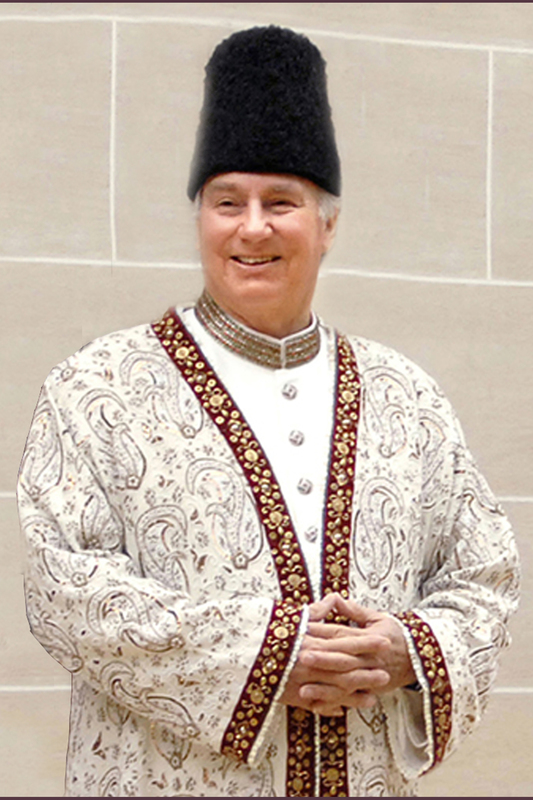 Ismailis have been paying dashond to Agakhan III and Agakhan IV since decades. I would rather give my zakat at the rate of 2.5 percent directly to the person who is poor and needy rather than a billionaire businessman who is self sufficient. Between 2004- 2006, I was in Kampala when there came an Ismaili doctor from Canada for an educational trip. Jamat was encouraged to listen to him after Jamatkhana proceedings. He was closely associated with Agakhanic Institutions and was also doctor by profession. Before starting the lecture he started the camera recording. The lecture was more of personal hygeine and emphasis by Hazar imam to educate his jamat about it. Since he was also able to answer jamats question on Ismailism he was asked questions related to Dasond and other practices, he immediately turned off the camera recording and started answering question. That moment led me question my belief on why this tariqa of Hazar imam is so scared to tell the public about their matters inside jamatkhanas. My doubt about Ismailism grew and the quest for Allahs deen grew even deeper. There have been only 2 possible forms of communication for the present Imam which I have known. Which are sending Talika (letter) to the Jamat or visiting the jamat once in a decade at least. I understand being an single Imam for few millions of Ismailis around the world, it is impossible for him to be present with every murid. But he is also considered as Hazar and Nazar Imam (Present and who listens). Really ? The jamat will receive 3-4 talikas in a year mostly dealing with quality of life and education and importance of learning English in todays world. The jamat is in his thoughts and prayers, Thats it. What about Allahs book ? I have never heard a single aayah from Quran quoted in his farman nor any hadith. In Ismailism, the Jamati leaders are appointed based on their status in the society, who are well to do financially,who comes to jamatkhana regularly. That is the basis of selecting an Mukhi/Kamadiyas and other jamati leaders who is influential in society and who can handle the jamats issues. But Surprisingly you don’t have to have the ilm (knowledge) of the deen. That is not required at all. I have seen and Met Mukhi Kamadiyas in couple of countries who are financially well to do but their behavior tells us those are far away from the teachings of Quran and Sunnah. Jamati Leaders running liquor shops and are sitting at the front row as the delegates of Imam to forgive jamats sins. If you have doubts or questions related to tariqa, you are looked down with a strange look. What kind of Ismaili are you ? You are questioning the Imam ? and so on. You ask the question to the leaders but they will not be able to answer your questions, instead you will be humiliated because that is the best they can do to make you feel bad about it. I had so many doubts to clear but I did not get a single answer. I was waiting for the Hazar and Nazar (Present and Listening) Imam who could answer my questions, but that did not happen at all. Too Much emphasis on betterment of this life than the life here after. Hazar Imam has done a marvelous job on improving the quality of life of the jamat through his continuous emphasis of worldly education. There is nothing wrong with it, but he has done a very little on educating the jamat about the life after death which is why we are here in this duniya. I have listened to many farmans from him regarding education and improving quality of life but have seldom heard in any farman to focus on the hereafter as well. What Hazar Imam had claimed to be follower of Quran has neither implemented anything for his Jamat from the Quran, neither he has taken heed for himself. Liquor is haram in Islam, still there are hotels run by Agakhans name sells liquor in it. Click here to get the proof that hotels run under Agakhans name are selling alcohol. Agakhan’s son Rahim has has gone far beyond and continued the legacy of his grand father and has married to American Fashion Model Kendra Spears. Prince Husain divorsed his wife weeks after the marriage of his brother Rahim. The Imam is unable to teach Islamic values to his family, then forget about teaching Islamic values to Ismailis. This is one of the biggest problem in Ismailis Jamatkhanas now a days that while coming to Jamatkhana they come as they are attending a wedding party or something. There is no issue with wearing good clothing as Allah has given you so you should wear it but when you cross the limits then it becomes a problem. This has been a problem in every jamatkhana in the world especially with the youth. Women come in skirts and sleveless dresses and lead the dua and read farman in front of entire congregation. Wearing headscarf is a distant dream altogether. I have discussed this issue with few elderly Ismailis and they had the same concerns which I have mentioned here. According to them, Jamatkhana is a place of worship but today’s women come in such a way that you just wonder “Are they really focusing on prayer wearing such dresses?